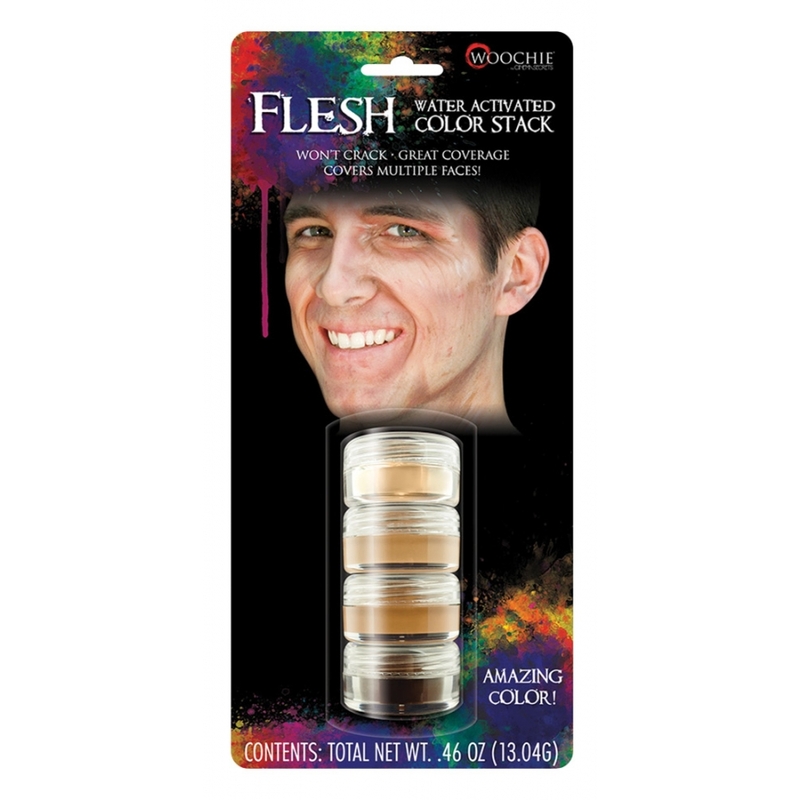 Carded stack contains light flesh, medium flesh, dark flesh, and brown water activated makeup colors. Covers multiple faces. Good for many looks. Dries fast and washes off easily with soap and water. 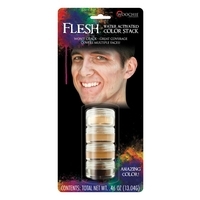 Works on skin and latex!